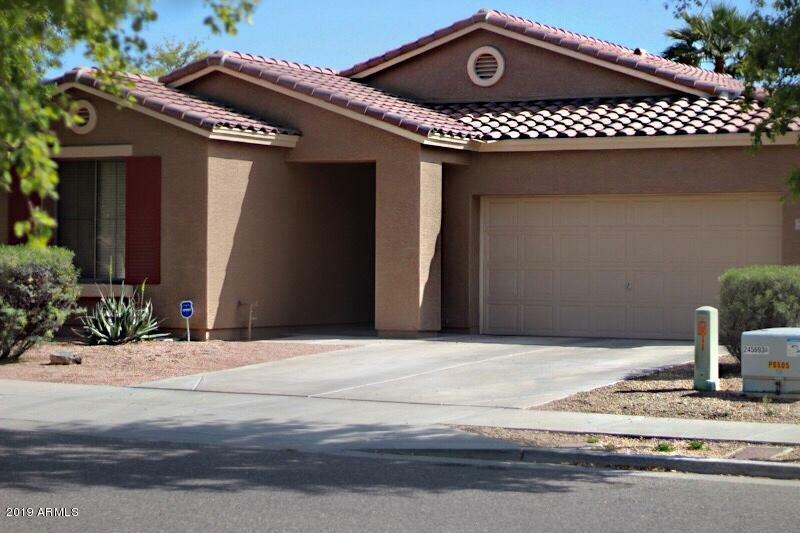 All SUNCREST AT ESTRELLA VILL homes currently listed for sale in Phoenix as of 04/19/2019 are shown below. You can change the search criteria at any time by pressing the 'Change Search' button below. "GORGEOUS HOME 2BD/2BA WITH A SPACIOUS DEN THAT CAN EASILY BE CONVERTED TO 3RD BEDROOM OR PRIVATE OFFICE. WONDERFUL LIVING ROOM AREA WITH NATURAL LIGHTING ALL THROUGHOUT THE HOME. GRAND WINDOWS WITH HIGH VAULTED CEILINGS. MASTER BEDROOM HAS FULL BATHROOM WITH DOUBLE SINKS AND WATER CLOSET. LARGE BACKYARD WITH UPDATED AND REMODELED LANDSCAPING, INCLUDED WITH COVERED PATIO. GREAT WAY TO SPEND THE ARIZONA NIGHTS ENTERTAINING GUEST. 2 CAR GARAGE WITH SPACE ON FRONT SLAB TO FIT UP TO 4 MORE CARS! DON'"